This golf club is flat with water coming into play on all holes. Majority of holes are covered by waterways, which are the main hazards on this course. 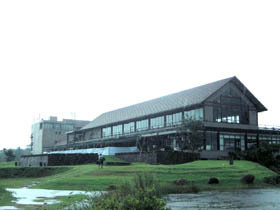 It had 11 holes as of October 2007 and becomes a 18-hole golf course in 2007. 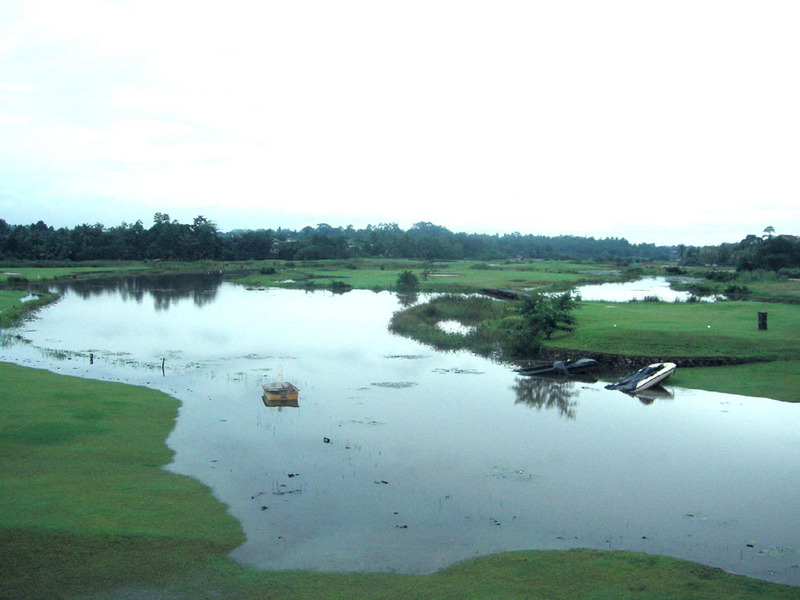 Unfortunately, a big rainfall three months before I played caused a flood from the adjacent river. The entire course including all fairways, has been under water since then. 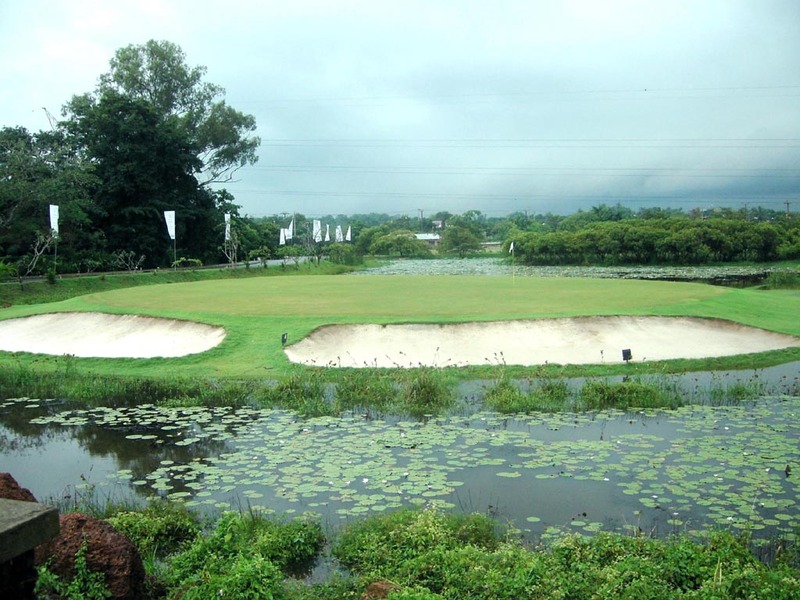 To make matters worse, it rained heavily on the day I played, so all the course was under water except for 2 holes. I needed to walk through water as high as my knees. I gave up playing the remaining 9 holes, just walked though them to check the layout. If I played on a fine day, my evaluation could be different. The first 4 holes have a good design. An almost straight, short par 4. The tee shot is intimidating as water hazards protect the narrow fairway on both sides. A straight, relatively short par 5. There are water on both sides on this hole, too. The water also come in front of the green, so the third shot ( the second shot for long hitters) is over water. A long and difficult par 3. The green is protected by water on both sides. 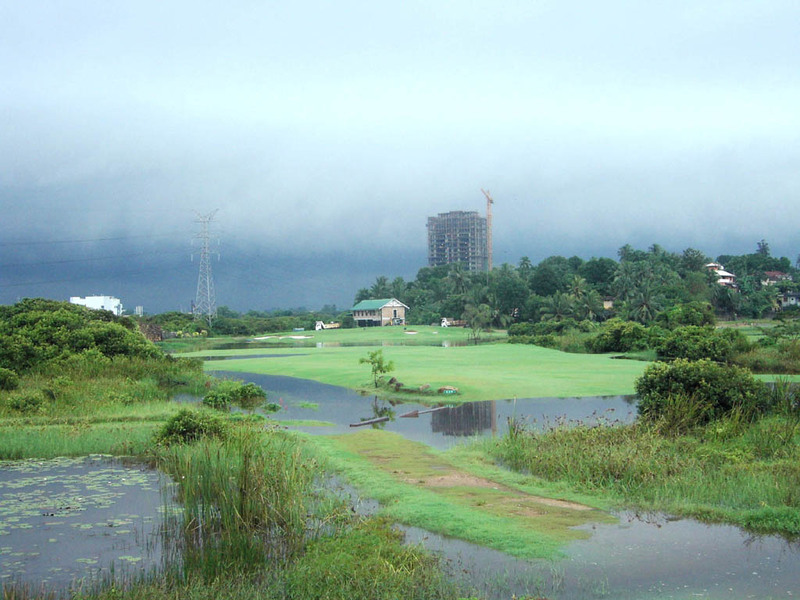 It is a 45-minute ride from both Colombo and the Colombo International Airport. The views from the clubhouse are superb. The course designer is a director of this golf club. The spa in the clubhouse has good reputation.